It's still the world cup, right? 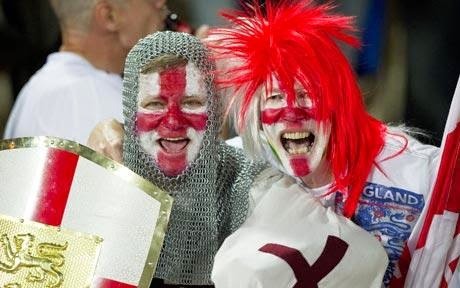 Cue a slew of appropriate and inappropriate, official and guerilla marketing opportunities for brands to jump on the bandwagon and feed off the expected £250m - £1bn in extra spending the English are expected to splash out over the course of this World Cup competition. 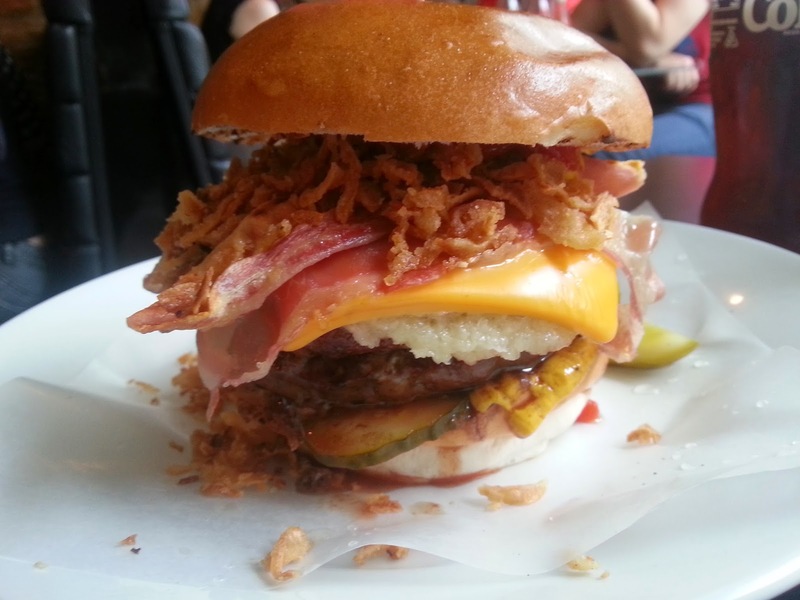 But it's also an opportunity to have a bit of fun, which in my opinion Byron's latest burger special does epicly. 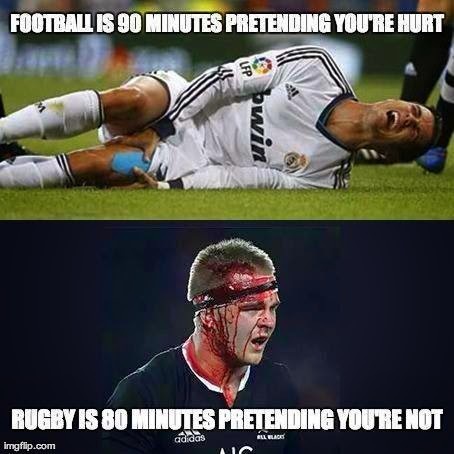 It IS football related but it is ALSO tongue in cheek. "This burger is dedicated to Ronaldo, a man who looks like he might enjoy a burger or three now that he’s hung up his boots". Price: Ronaldo Burger, without sides - £12.95. Byron's Rondaldo burger is a larger than life tribute to the big man. Comprising 2 x 6oz Byron patties stuffed together and topped with thinly sliced, crispy pancetta, fried crunchy onions, buttered onions, lashings of ketchup, French's mustard mayonnaise and sliced pickles. It's a helluva mouthful, and one I'd recommend halving (not only for the gratuitous cut-through you get below) but to make it manageable without jumping out all over the plate. 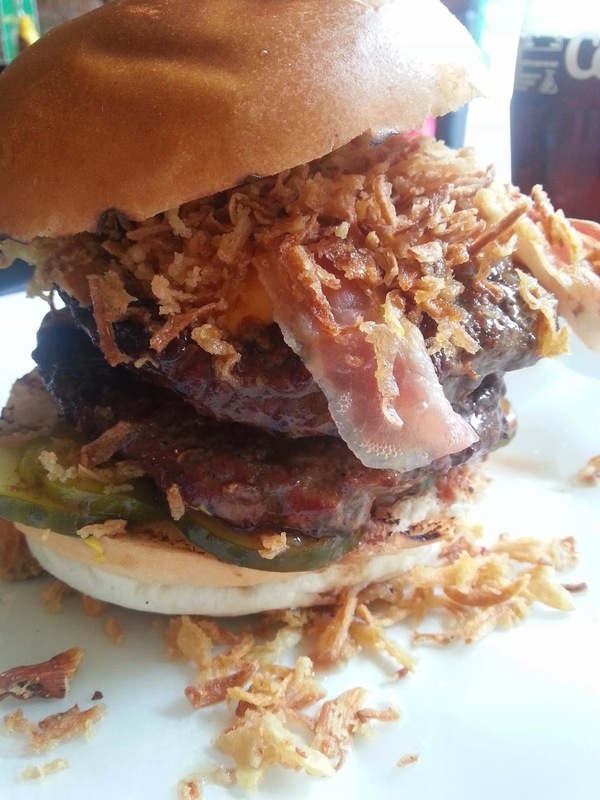 The crispy (and relatively low in salt) pancetta and the crispy onions add a great contrast to the soft bun and medium-rare beef, while the french's, ketchup and pickles give a classic cheeseburger taste, of which I'm a big fan. 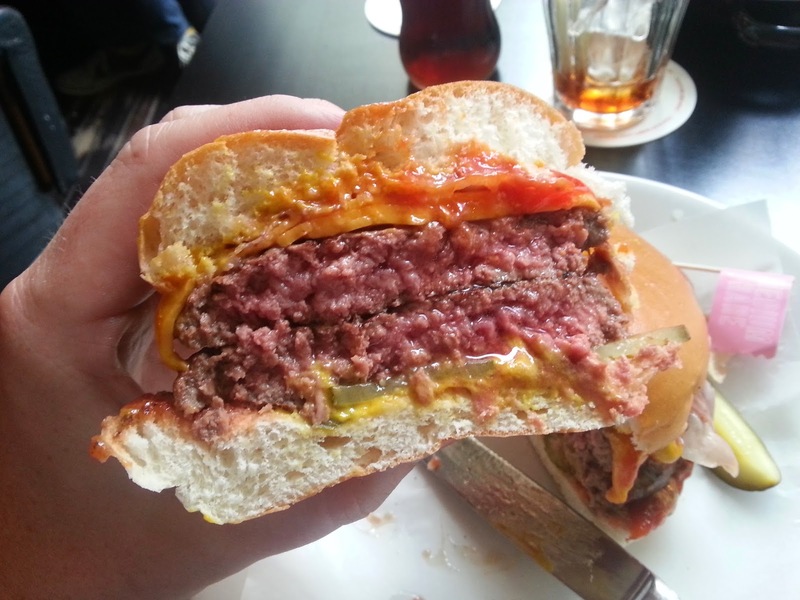 I couldn't entirely discern the buttered onions, as mine was aggresively sauced, but altogether it's a good burger. 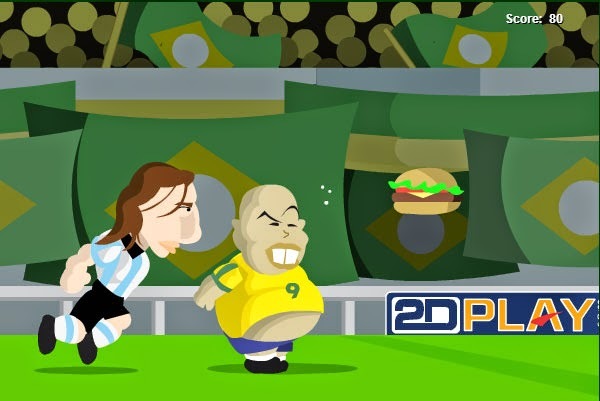 Help Ronaldo run here: http://www.myfootballgames.co.uk/game/15/Run-Ronaldo-Run.html. The Ronaldo Burger is available at all Byron Hamburger restaurants until 14 July. I know, London prices, quality does not come cheap, overheads etc., but don't you think prices are getting a tad high these days? Add sides to this, a drink and then service (optional, I know) and burgering is getting to be mighty expensive.